I love beef stroganoff. I loved it 20 years ago made with a can of mushroom soup, I loved it a couple years ago when I started making a “deconstructed” version with beautiful rare steak set upon a golden mushrooms and cream, and I loved it last night when I decided to try it with tender chicken thighs and a deeply flavoured mushroom sauce amped up with marsala, Dijon mustard, and tomato paste. 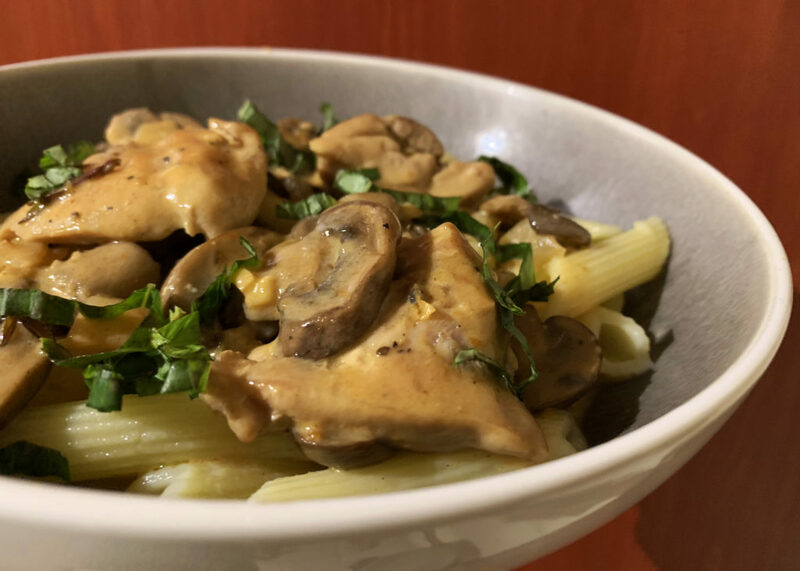 In doing my research for this recipe I found out that Stroganoff was a real guy! A Russian noble, Count Stroganoff was born into a wealthy family in the late 1700’s and was a General in the Napoleonic Wars. 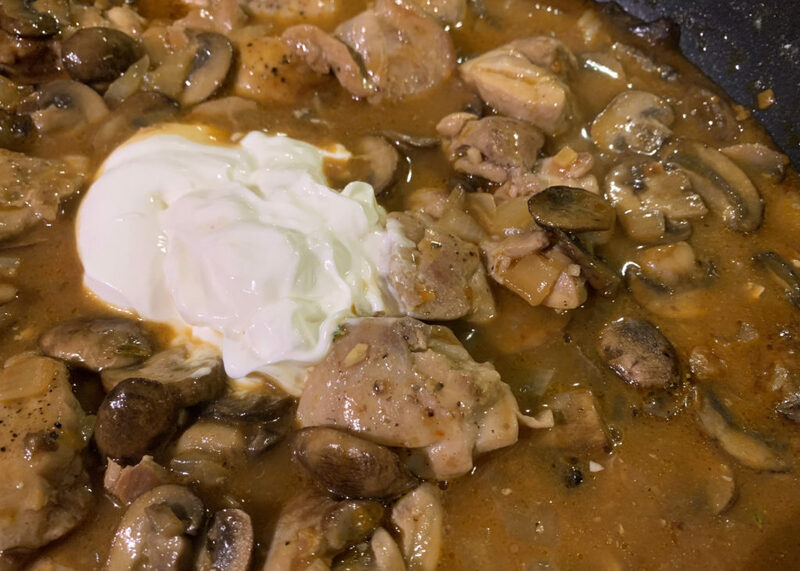 The original recipe was named after him by a French cook who, trying to combine his traditional cooking with a taste of Stroganoff’s homeland, invented the dish using French mustard to season beef and adding a dollop of Russian sour cream. Voila! (or вуаля! in Russian). And, I mean, what doesn’t taste better with a bit of sour cream?!?! Can you imagine eating a perogie without it? Or borscht? (Wow, it really is an Eastern European thing, isn’t it?!) I even add it to my favourite savoury pie crust here! The best tip I can offer, don’t rush frying the chicken or the mushrooms. Make sure the chicken has a golden crust on both sides and the mushrooms have a nice sear. 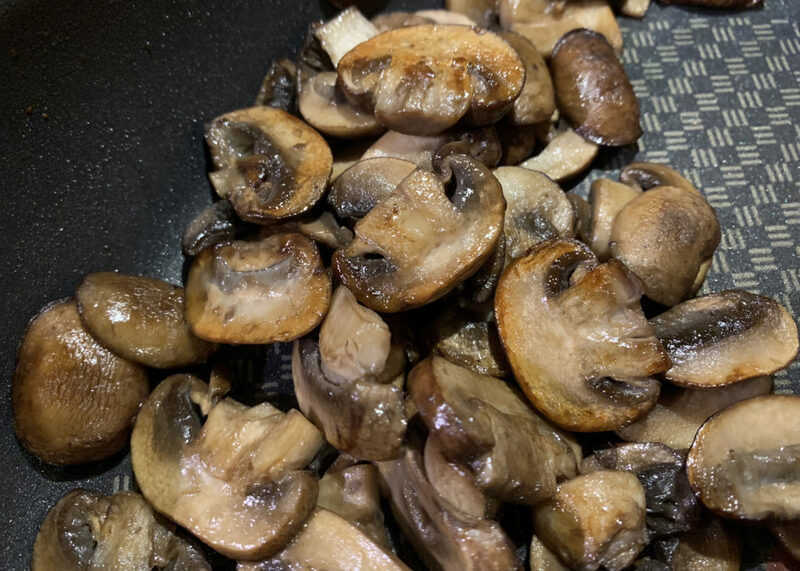 I did my mushrooms in two batches and each batch took 7-8 minutes. Crowding the mushrooms in the pan just steams them and the golden browning on the mushrooms really adds to the flavour of the dish. Mix chicken stock with mustard, worcestershire sauce, paprika, salt and pepper. Set aside. Heat large saute pan with a glug of oil or some sort of fat (I used schmaltz) over medium high. 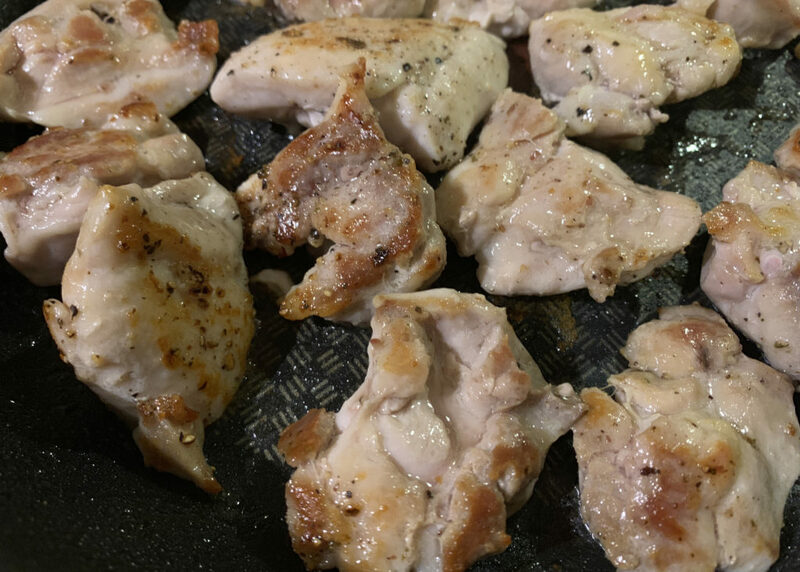 Salt and pepper chicken thighs and fry 4-5 minutes per side until they have a nice golden brown crust. Don’t worry if they are not cooked through, they will cook more later. Remove to side plate. Add another glug of oil if necessary and fry mushrooms until they lose their liquid and turn a lovely golden brown. This will take 7-8 minutes. Remove to the same side plate as the chicken. 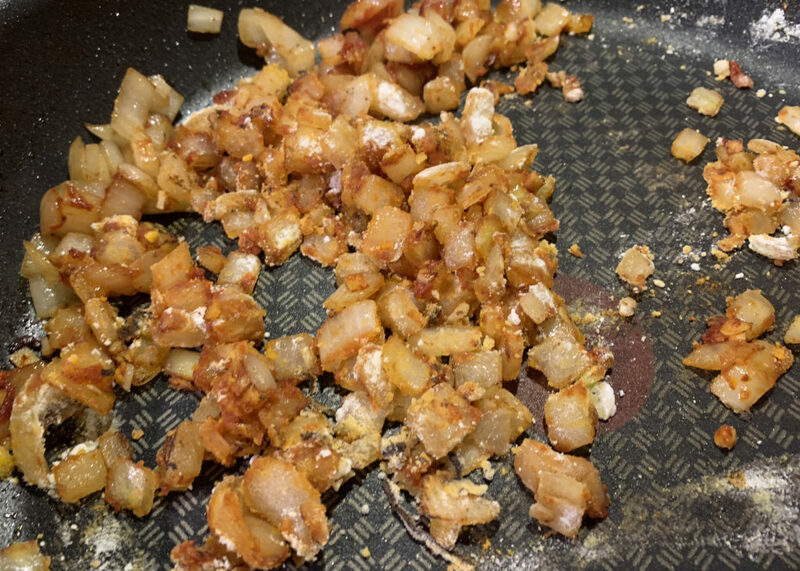 Add another glug of oil if necessary and add onions, fry for a couple minutes then add garlic (garlic tends to burn so I give the onions a head start). Fry until just starting to brown. Stir in tomato paste for 1 minute and then sprinkle flour over mixture and stir for another minute. Deglaze with marsala until the alcohol is almost gone. Then add chicken stock spice mixture and fresh thyme. Tip in the chicken thighs, mushrooms, and any liquid that has collected. Turn heat to low and simmer for 5-10 minutes until chicken is cooked through. Remove from heat and stir in sour cream. Taste and re-season. 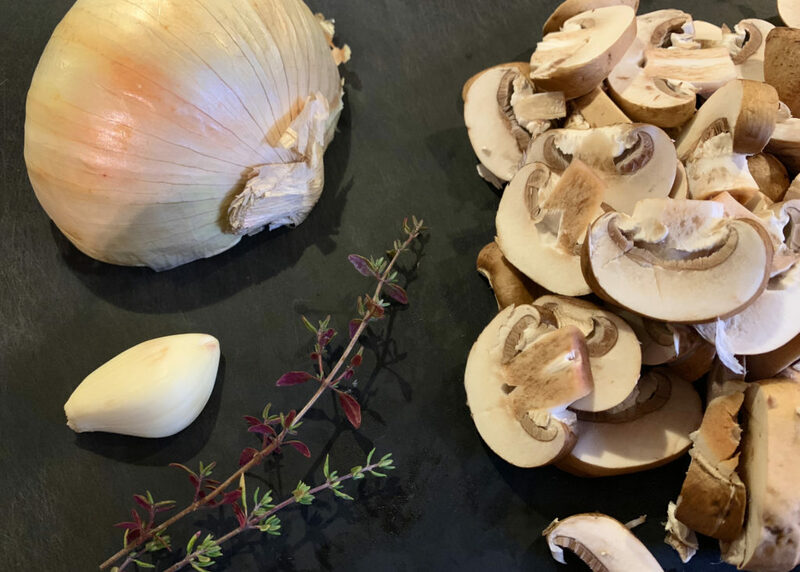 We enjoyed this over pasta but it would be delicious over white or wild rice.